How did you get started with running track? And when did your realize that you had a talent for speed? I got started with running track through the Gorham youth summer track program going into 5th grade. With a couple practices and 1 meet each week, it was a good way to get me introduced to the sport. I always loved to run but there were limitations for what track teams I could join at 10. The summer track program fulfilled my need to run. When I first started, I was not a top place finisher and stayed encouraged only through my love of the sport. However once middle school started, my previously lacking skills began to improve and my new driving force became an eagerness to run faster. Coming into your freshman year the expectations were high after your success in middle school have you felt any pressure? I definitely felt pressure going into my first high school track season, both from others and myself. In middle school, I had created a name for myself and gained a reputation for being fast. Between 6-8th grade I broke 7 indoor track SMAA records and have been told numerous times that I peaked in middle school. Regardless, I know there is much room for improvement. I don't want to be known for the records I broke in middle school, but instead the accomplishments I'll achieve in the future. You are off to an excellent start this winter, What are your goals for the season? My goals for the season are to get 6.6 in the 55, 23.5 in the 200, and 52.67 in the 400. With these times I'd break the SMAA record in the 55 and 400, and be close to the 200 record. For upcoming meets, my goal in SMAA's is to win the 55, 200, and 400. In states, my goal is top 3 in the 55 and to place in the 200 and 400. 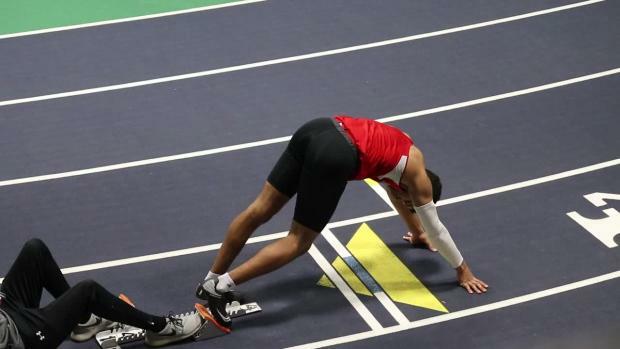 I will be competing in the 60 and 400 at nationals at the end of the season, but I'm not too focused on what that will look like yet since there are still many meets before that. You went to the Dartmouth Relays competing against much older athletes, and held your own finishing 3rd in the 55m, and 5th in the 300m? Can you talk about your performances, and how you were able to compete at such a high level? 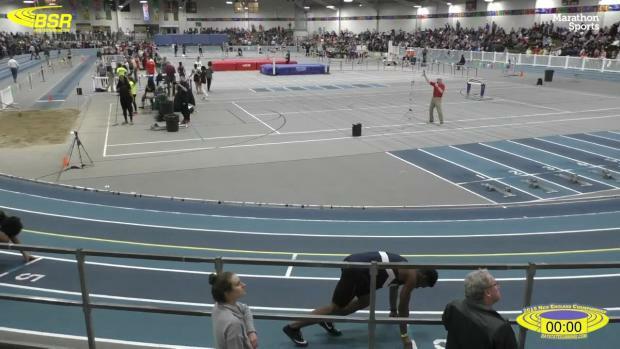 At Dartmouth, I had gone into the meet with a goal of placing top 5 in the 55 and 300. 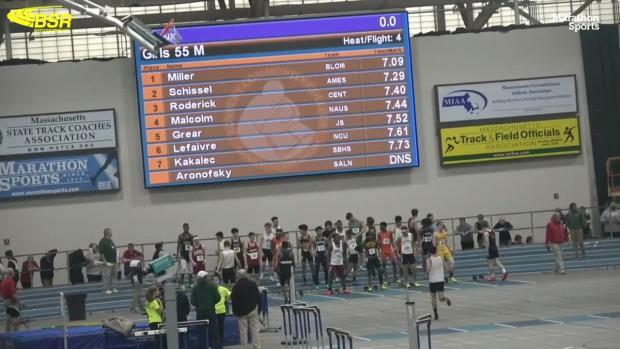 I was able to compete at such a high level because I didn't let the fact that I'd be racing some of the best high school sprinters in the Northeast bother me. I knew I had the ability to do well, and wasn't going to be intimidated or distracted from my goals. There were 107 athletes in the 55, with top 16 making semi's and top 8 moving to finals. I had lots of nerves going into the first race and my time reflected that. In the trials I ran 6.79 going into the semi-finals in the 9th seed. Then I ran a 6.69 in the semi-finals, which was .02 off my pr at the time and was seeded 5th going into the finals. Between those races I ran the 300, a race I had never run before. It was a battle to the line and I ended up placing 3rd in my heat after falling to the ground at the finish. Overall I placed 5th, only .07 seconds off of 3rd. Going into the 55 final, I was pumped coming out of the 300 with a medal and excitement replaced my nerves. I got 3rd in my heat, running a pr of 6.63. 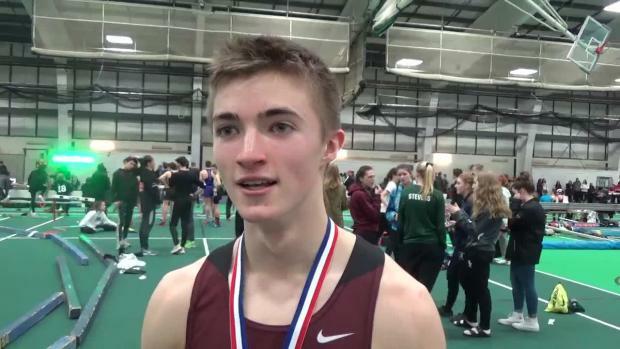 This is .01 off Gorham's 55 record for all grades and .02 off the SMAA record. 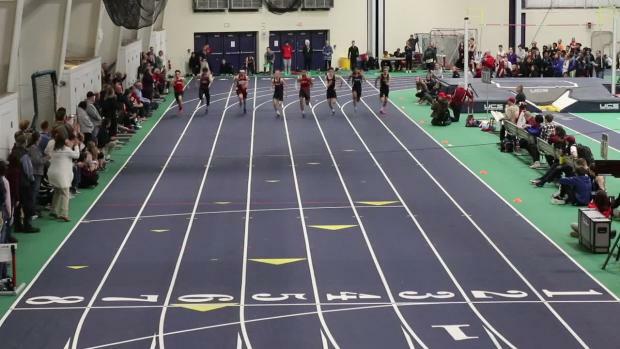 What has been the biggest transition from middle school track to high school track? 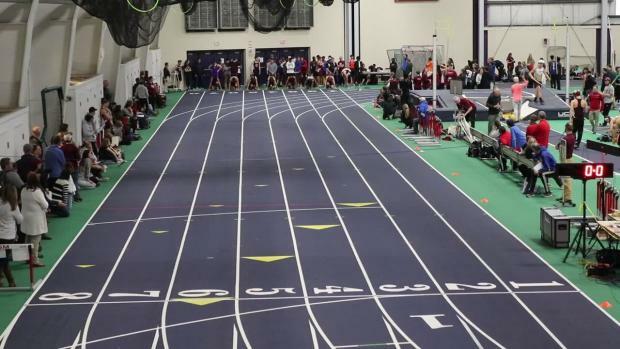 The biggest transition from middle school to high school track is the competition/training. 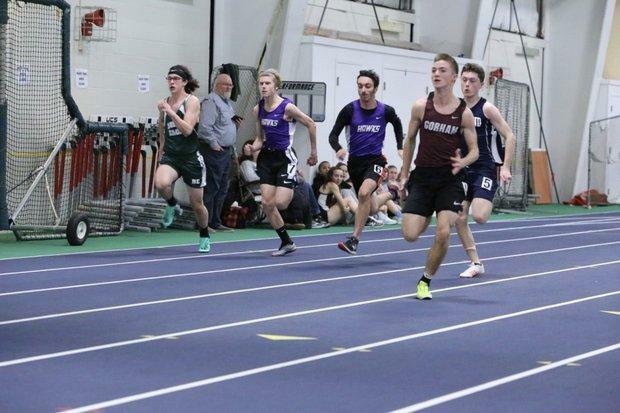 In middle school, very few people pushed me so it was difficult to strive towards better times when no one was running next to me during races. I was my own competition and used pr's and records to push me. Going into high school, I'm now being pushed far beyond where I had been. In addition, I transitioned from barely dripping a sweat at practice to doing workouts where I question if the pain is worth it. The answer is always yes, but I never had to ask myself those kind of questions before. So far what is your favorite workout you have done this season? My favorite workouts I have done this season are the sprint ladders and whistle runs. In the sprint ladder, we run a 200-400-600-800-600-400-200 with equal recovery. This helps me build my sprinting endurance which will help with 200 and 400. In the whistle runs, the coach blows a whistle in a series of patterns that tells us to jog, fast jog, or sprint. Along with helping strengthen our stamina, we don't know when the whistle will go off so we have to be mentally prepared to run for awhile.